These courses cover generic job skills and employee orientation. These courses are ideal for new starters and existing employees alike. How to Manage an Office Facility: This e-learning resource teaches learners how to manage an office facility. This course covers Equality, Legal Issues and Environmental Management Systems. 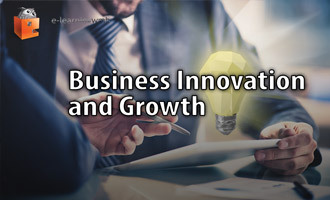 This e-learning course teaches the learner the various aspects of Business Innovation and Growth. At the end of the e-learning you should have a good understanding of Innovation models, the risks of business innovation and the advantages of adopting innovation. 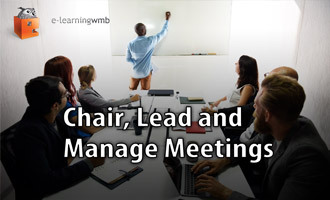 This e-learning gives instructions on how to Chair, Lead and Manage Meetings. You will learn how to set this environment for an effective meeting to ensure everyone gets the most out of each business meeting you are involved in. Customisable Induction / On Boarding: A unique system for producing customised induction. Learn how to deliver excellent customer service and recognise bad customer service. Customer service is dealt with externally and internally with worked examples. Training is also given in how to learn from customer insights. "This customer service e-learning course demonstrates how poor customer service can affect the brand and company image and how to manage and deal with customers." "This course is aimed at managers, instructing them on how to deal with grievance issues both on a formal and informal basis." "This course is designed to help managers understand the performance improvement procedure and manage performance issues effectively and confidently." 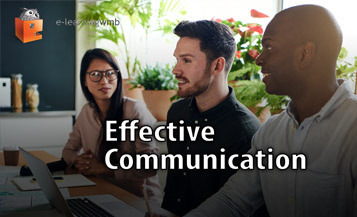 "This learning on Effective Communication gives instruction on how to delivering winning presentations and communicate with clients by applying effective nonverbal communication and presentation techniques." 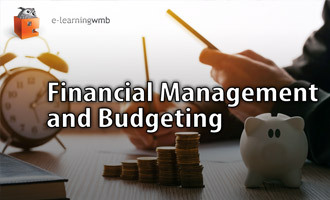 "This e-learning gives basic instruction on good financial management, covering financial terminology. It also covers basic budgeting skills needed in business." "The Introduction to Governance course covers what is governance and the board's role in adhering to good corporate governance. At the end of the e-learning you should have a good understanding of how governance works and its value to an organisation." "This course outlines the principles of marketing including market research, the marketing mix, promotion and brands. Trainees will get a full understanding of the importance of marketing for the success of any business." 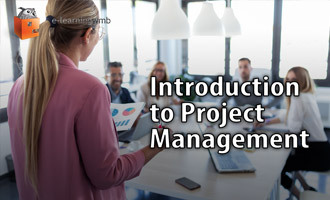 "This e-learning covers the basic principles of project management and enables you to become familiar with the skills and techniques to enable successful initiating and development of projects in the workplace." This module is aimed at staff who work directly on implementation and maintenance of ISO systems. The module provides more in-depth knowledge on ISO standards including QMS, EMS, EnMS and ISMS. This module is designed to inform senior management of their responsibilities regarding ISO systems and the relevance it has to the compulsory legislative compliance. This e-learning answers what is ISO 9001 and the benefits. The learning also gives practical advice on how to achieve certification and what are NCRs. This e-learning explains the ISO 14001 standard and gives practical advice on how to achieve certification. The benefits of the system are explained in detail. This e-learning answers what is ISO 27001 and how does it affect products and services rpovided by an organisation. The learning also gives practical advice on how to achieve certification and what are NCRs. This e-learning answers what is ISO50001 and how does its implementation benefit the organisation. The learning also gives practical advice on how to achieve certification and what are the learner's responsibilities. "This course is designed to help you as a manager to understand the Sickness Absence policy and process and for you to confidently manage attendance issues in a supportive way." By the end of the e-learning you will better be able to demonstrate what body language to avoid during conversations and techniques to use to deal with them and create a rapport with customers. "The e-learning course is designed to assist managers in understanding the theory behind the disciplinary process and procedures. The course will assist with managing conduct issues confidently." This learning will focus on the core functionality you need to know for entering, calculating and analysing company data such as sales figures, sales taxes or commissions. 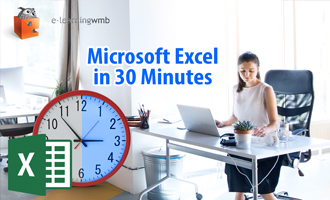 The learning features creating basic formulas and cell references along carrying out a mail merge using Excel and Work; the e-learning also includes a quiz. 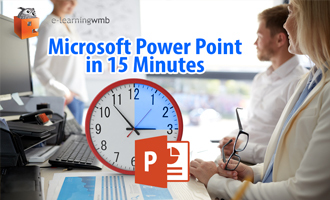 The e-learning demonstrates how to use PowerPoint to adopt a graphical approach to presentations. 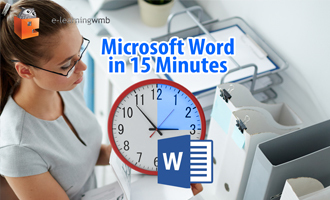 The training covers editing presentations, applying formatting and how to subsequently run the presentation. The learning also includes a quiz to check knowledge retention. This learning will focus on the core functionality you need to know to create business documents, including how to format text, change layout, insert tables and pictures and save different file formats. The learning includes a quiz. 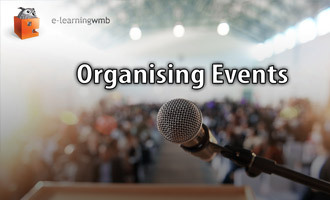 This e-learning resource teaches learners how to successfully organise and manage events and the importance of event planning. 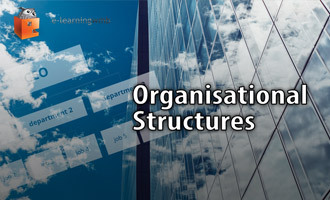 This e-learning resource outlines the various Organisational Structures in business. This course covers using legal structures and understanding the private, public and voluntary sectors. The learning also includes a quiz to check knowledge retention. People Management: This e-learning session which has been designed to help managers throughout the organisation who have responsibility for managing people. 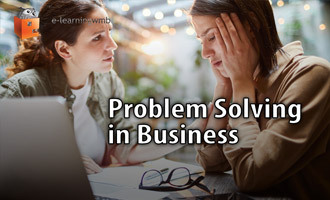 This learning resource covers the importance of problem solving in business and examines some formal techniques such as SWOT Analysis, as well as an overview of other tools for problem solving and monitoring. Psychologically Informed Environment training enables us to shape services to the needs of the service user. Environmental changes are examined as well as behaviour such as language and communication style. The aim of this module is to provide an introduction to Social Media and how it forms part of a Digital Marketing Strategy within a business environment. Team Supervision: This e-learning course will give learners everything they need to know to successfully manage teams and meet their own objectives by improving their team’s performance. Learn how unconscious bias can affect thought processes. Only by recognising these cognitive shortcuts, can behaviour be changed in order to make better decisions. 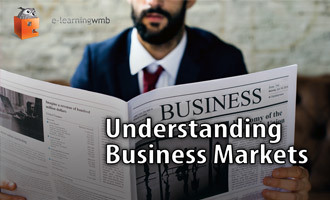 Business markets are explained and examined, highlighting the pro's and con's of each. 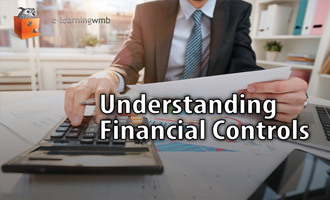 The nature of financial controls is examined, highlighting how the P&L, balance sheet and cashflow statements work. This e-learning course is about communicating appropriately within the workplace. The training concentrates on written communication, however there is also additional information to enable you to look at communication holistically. All courses are also uniquely available across all formats (HTML5, Flash) as SCORM v1.2 packages.